A Fire and Performance Retreat designed for ALL levels of fire-dancers: from the newly-sparked to the seasoned performers… if you have never tried dancing with fire, we welcome you to your initiation! This retreat will embody you as a flowing fire weaver of magic – whether you are an experienced fire wielder or a new flame. Designed for all skill levels, Kiki and Gaea Lady will guide you through the art of creating intentional based fire performance via an embodied training experience. With a deeply rooted desire for ALL to know the transformational healing power of fire, this retreat will delve into the element of fire on many levels : physical, metaphysical, ritual, spiritual, and elemental. Our Ultimate Intention is to connect and co-create with others in an environment that promotes safety in self-expression and collaborative leadership within the realm of the fire dancing as an art form and a tool for transformation. Fire will be integrated into the experience not only as a dance partner, but as a path to healing. We ask that you show up open and willing on this transformational journey. The spark of INTENTION fuels the FIRE INSIDE. From the burning core of INTENTION, we discover our heart’s desire, our inner flame… transmuted through the BODY via Intentional movement and flow. Constantly we are guided from our CORE: the root of our INTENTION. From expressed intention through movement we purpose-FULLY surrender to the FLAME.. and allow ourselves to be transformed from the inside out. Gaea lady is an enchantress by nature, and is a force that will make you feel the very earth move. Fusing her 25 years of dance training in forms from classical to modern – neovintage to the ethereal, she cultures an intentional style that is all her own. Integrating dance, art, visuals, costuming, concept, fire, silk fabrics, temple dance, hoops, and deep seated intention, her inspiring performances mesmerize and deeply touch. She seeks to share knowledge and empower others through her performances and teaching, forging connections and community. Gaea is the winner of the Burlesque Hall of Fame’s “Best Debut” and “Most Classic” in 2016, and performed at the “Icons & Allstars” show in 2017 & 2018. She graces festival stages such as Show Me (St. Louis), the Minneapolis Burlesque Festival, Envision (Costa Rica), Electric Forest (Michigan), Symbiosis (California), Oregon Eclipse (Oregon), Burningman (Nevada), and Bhakti Fest (California). In her home base of Chicago, Gaea performs at Unbridled at Untitled, the Kiss Kiss Cabaret, the Naughty Little Cabaret, the Vertical Sideshow, the Drifter, Soho House, & with Pyrotechniq Fire Troupe. Gaea fell in love deeply and swiftly with Fire in 2009, and is honored to bring fire into being on stages all over the world. She specializes in hoops, fans, torches, double staff, and fire ritual performance. Using her BFA in Fine Arts, she creates performances fusing all she has known. 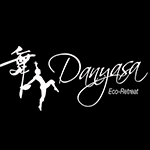 Gaea works as a Temple Body Artist with Sofiah Thom, co-creating the training retreats as the resident chef for Danyasa. She deeply believes that sharing her love of performance, fire, silk, props, food, herbs, and life bring us all together to experience the daily magic in bigger and better ways. She also is a vegetarian chef as Edible Alchemy, traveling to teach and nourish for movement and wellness retreats. A life in flow… Connected to nature and to the elements as a guide for living and being in the world, Kiki has been moving and flowing with her practices for over 15 years. Yoga found her in 2001 and then bellydance shortly after in 2003. Fire came later in 2009, along with a move to the US Virgin Island of St. Croix. Founder of the first fire dancing troupe on St. Croix, Kiki was troupe leader of Kiki and the Flaming Gypsies from 2011-2017 and then later co-founded a new fire troupe called Purafire in the BVI’s while living on her sailboat with her partner. Kiki has been the creative force behind fire dancing in the Virgin Islands and is well-known on the islands as the “original flame dancer”. She loves to initiate new fire dancers into the artform and promotes it as a spiritual practice that is meant to be shared. Fire has been her greatest teacher and guide as a healing modality and meditation practice. Her deepest desire is to co-create a healing arts community in the Caribbean and establish a place for re-treat, using fire as the medium for transformational healing and deep connection to nature and ourselves. She has been honing and teaching her fire practices as well as her elemental-based style yoga classes and her meditation practices of creating earth mandalas and walking labyrinths in workshops and retreat settings across the US and British Virgin Islands. She continues to perform for special occasions and to share her love of the dance with others. Kiki is currently studying to become a Temple Body Arts Facilitator with Sofiah Thom’s School of Temple Body Arts as well as a Temple Tribal Fusion (TTF)trained Bellydancer with founder Tenley Wallace. She is also certified in Zen Shiatsu with the Costa Rica School of Massage and Thai Bodywork Massage with the Toronto School of Thai Massage. She has also studied bellydance since 2003, specializing in American Tribal Style and Tribal Fusion. With a Master’s in Occupational Therapy, Kiki integrates her extensive knowledge of health and science within her movement practices with a playful and holistic approach. Kiki is a strong advocate of the art of flow, incorporating flow concepts into all of her classes. Kiki instructs classes and workshops in Bellydance Fusion, poi dance, flow arts, earth mandala and meditation practices and in the Rasamaya Yoga Method. She is also Reiki Master certified and empowers people to live their dreams and dream BIG. Kiki believes in the power of connection with nature, community building and establishing the space to express your unique creative voice. Poi, fire fans, snakes, fire palms, fire hoop skirt, double staves, contact staff, fire parasol, mini-dragon staff, fire hoop, levi-wand, fire hip belt and other custom props along the way. Special Early Bird Discount Pricing available with deposits + registrations before September 20, 2018! Offsite accommodations : contact us for pricing. Discounted rates available for Costa Rican national citizens – contact us for pricing. EARLY BIRD PRICES: Register by September 20th, 2018. PAY IN FULL OR ENROLL IN A 3 or 6 Month PAYMENT PLAN – you choose. Hold my SPOT! Make your $500 Deposit today to secure your spot via PayPal and indicate what room you would like to hold. We will contact you to confirm and set up a payment plan. Deposits non-refundable after Dec 1, or 1 month after you’ve made the deposit!